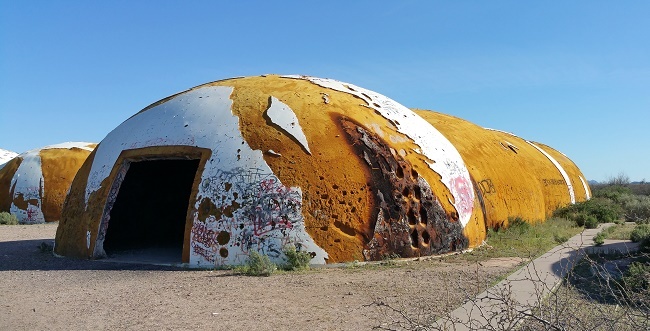 Ghost stories and rumors of strange encounters surround the mysterious dome-like structures that sit abandoned in the desert of Casa Grande. A closer look at the site reveals its incredible beauty and clues as to why so many people swear the place is haunted. South of I-8, a long stretch of pavement known as Thornton Road cuts through the parched Arizona desert. 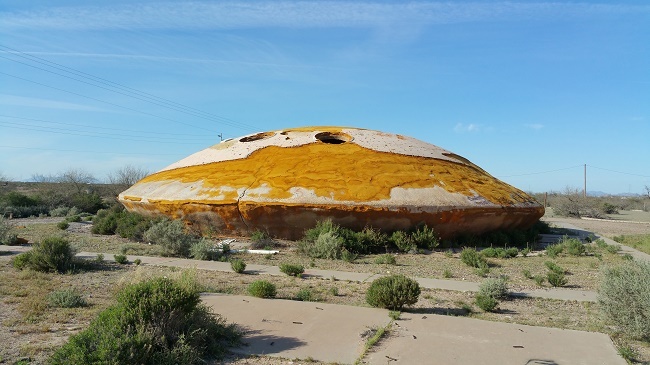 The landscape is monotonous and unremarkable as far as the eye can see, until you approach the bizarre cluster of UFO-like buildings known as the Casa Grande Domes. Four hollow structures, one flying-saucer-shaped and three long and caterpillar-like, share the plot with the unfinished foundations of three others. A network of narrow tunnels runs beneath. Stories tell of whispers in the dark, strange echoing footsteps, and a mysterious figure that wanders the grounds, lurking in the shadows to stalk intruders. Visitors parked on Thornton Road have heard tapping noises on the outside of their cars. Some have even reported hearing the distant muffled cries of children. What dark history does this site possess that would account for such eerie phenomena? What gruesome events left the indelible stains that draw malevolent visitors from the netherworld? The truth is far less interesting than you might imagine. 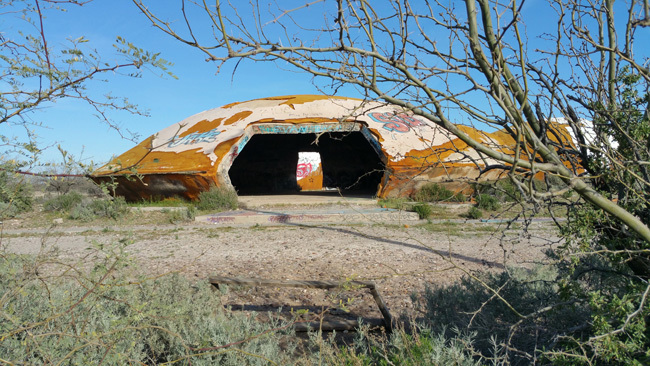 The domes were built in 1983 by InnerConn Technology Inc., a manufacturer of circuit boards for computers and watches. 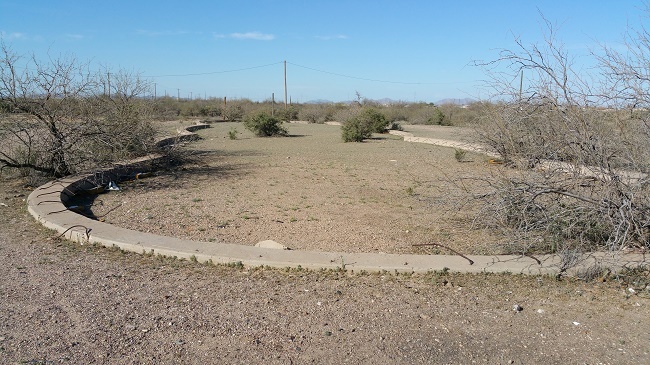 In 1982, Patricia Zebb, the owner of InnerConn, announced plans to relocate the company headquarters from California to the 135-acre site in Casa Grande, AZ. The unusual shape and composition of the structures was chosen for its relatively low cost, speedy construction time, and efficient insulation. Each structure took approximately six weeks to build and cost about $150,000 apiece. Construction went something like this: After the foundations were complete, giant balloons were mounted onto them, supported by steel skeletons. 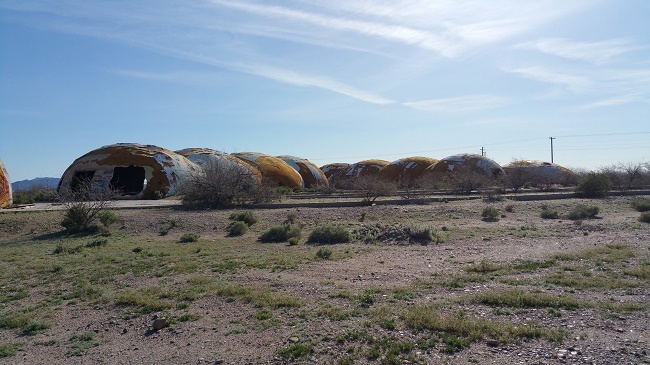 A coating of polyurethane foam was applied to the outside of each balloon, which hardened to form a layer several inches thick. 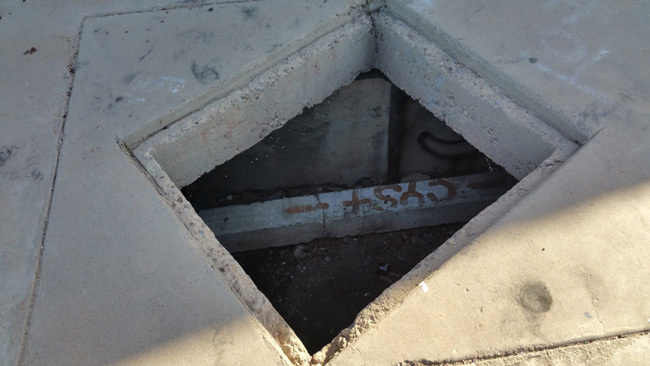 An additional three inches of concrete was then added to form the outer shell. 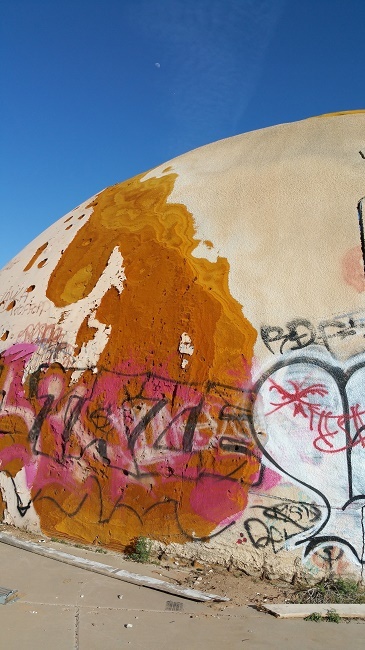 The layers of concrete and polyurethane foam are revealed by the erosion of the dome's outer shell. The large segmented buildings were to be used for manufacturing. The UFO-like saucer structure was to be the office building. 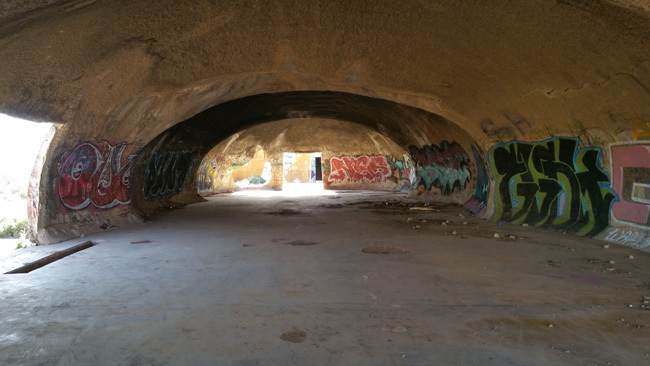 The subterranean tunnels were intended as conduits for ventilation and for piping the fluids used in the manufacturing process. The project was halted, unfinished, in 1983 when InnerConn Technologies defaulted on a loan and Union Bank of California assumed ownership of the company's assets. 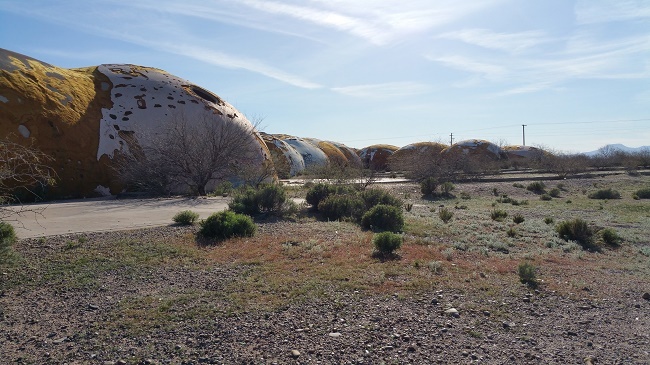 As is the case with many abandoned properties, the land has been used as an illegal dump site for large pieces of trash such as furniture and tires. The site was purchased by Daniel and Karon Peer in 2006. Ownership quickly became more of a burden than the Peers had bargained for. The government ordered them to clear the land of all the waste that had been illegally dumped over the years. It proved to be a costly and time-consuming job. The Peers also had to deal with the liability of a relentless stream of vandals, ghost hunters, and UFO enthusiasts entering the unsound buildings. 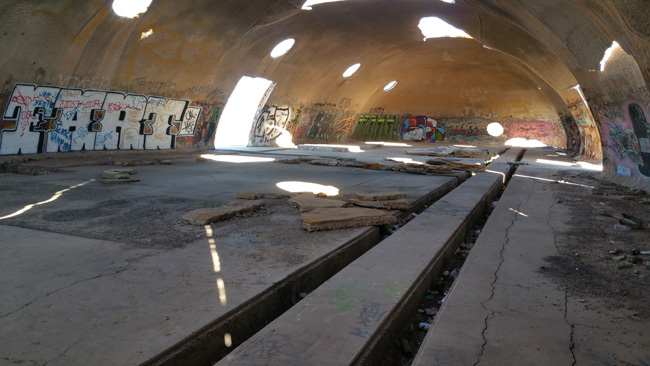 It didn't help that the site was seen as an ideal location for parties, raves, and underage drinking. With so any people stopping to check out the place, it is no surprise that visitors have witnessed elusive figures lurking nearby. I wouldn't be surprised if the suspicious dark figures were actually trespassers trying to hide when they noticed others entering the property. Many of the reports of strange noises can also be explained. The unusual shape of the structures causes normal sounds to bounce off the walls in distorted echoes. 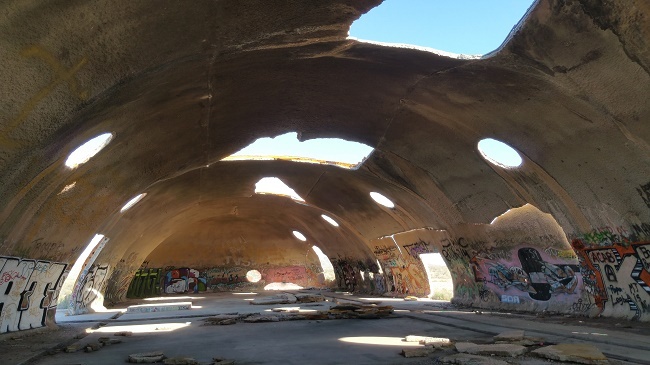 Wind rushes through the hollow buildings, producing bizarre sounds as it passes through doorways and holes in the ceiling and beats sheets of rusting scrap metal against the walls. 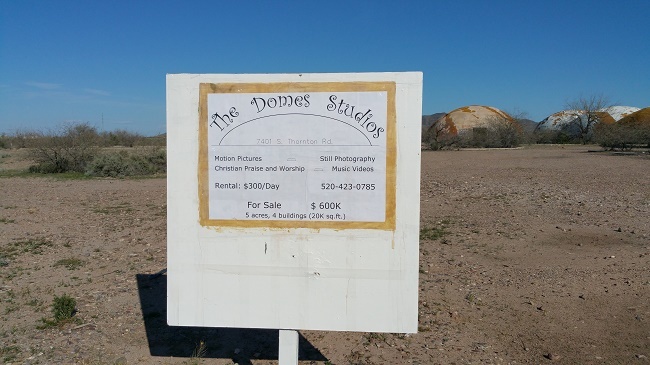 If you're interested in using the domes as a location for filming or photo shoots, a helpful sign out front displays pricing and contact information. 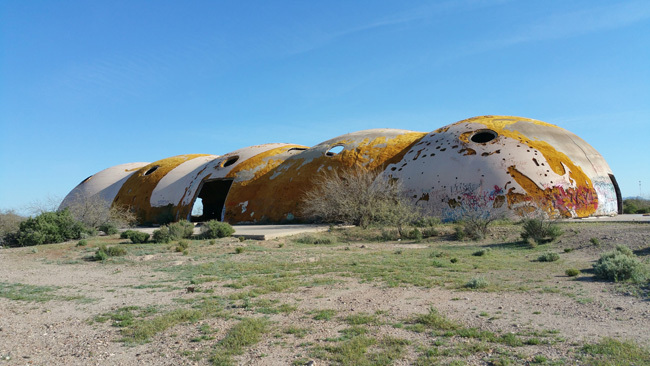 After exploring the awesome Casa Grande Domes I headed toward Tucson, where I happened upon the interesting remains of several abandoned restaurants and tourist traps. Come back next week and I'll tell you all about them! These are cool! I can see why people would come to explore/hang out. Great pics! I use to live in the area and there was many rumors including that there is a hidden tunnel that leads into town. I do have to say its not really remote when you compare it to most places in Pinal County. For me the official story just doesn't make sense because how far from town it is, the fact land was inexpensive closer to town and that the company just disappeared. I would love for someone to use their resources to go deep into the assets that the bank took over and so on. Interesting. I hadn't heard the rumor about the tunnel leading into town. Love all the details !!! Live in a suburb of Phoenix. 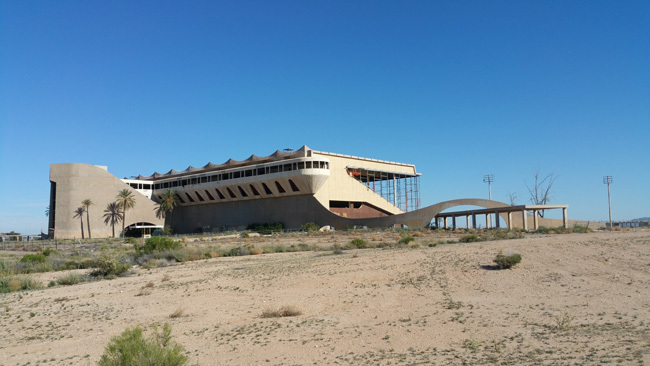 Had to go to Casa Grande for a meeting so about a 45 minute trip, and after the meeting i went to go take a look. Pretty neat and spooky stuff. Do more AZ stuff! Great article. Makes me want to look more into it! Thank you! I'm glad you got to check out the domes. I need to make another trip out to Arizona. There is so much to see. What a shame. It's such a unique place. I hadn't heard that one of the buildings partially collapsed.